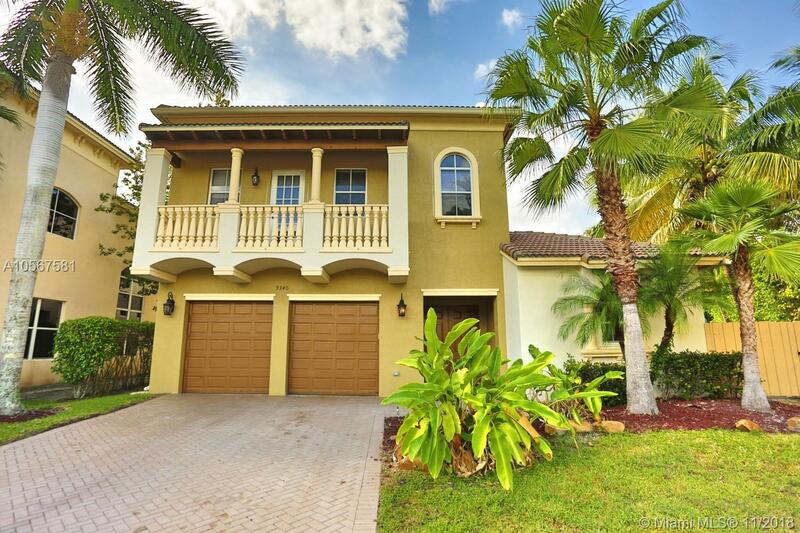 Exceptional Mediterranean Courtyard Pool Home on a Cul-De-Sac in a gated community. Oversized lot! FOUR BEDROOMS, PLUS A LOFT AND A SEPARATE GUEST HOUSE! (Could be a 5 bedroom if closet is added)Kitchen has granite countertops, and a butlerâs pantry. Updates include: exterior and interior paint, all electrical sockets replaced, new carpet new recessed lighting and wood floors refinished. There is crown molding throughout the home. Upstairs you will be welcomed by a large loft that is perfect for entertaining. The master bedroom has its own sitting area and custom walk in closet. Welcome the in-laws or guest to a private 1/1 guesthouse with access to the pool. Beautiful tropical backyard with pool and patio. Convenient to shopping, beaches, and it is minutes to several private schools.